Pure’s design for this newcomer gin is a far cry from the world of retailer own labels and brand leaders, demonstrating Pure’s ability to meet the design needs of artisan start-ups where a flair for bespoke creativity is paramount. 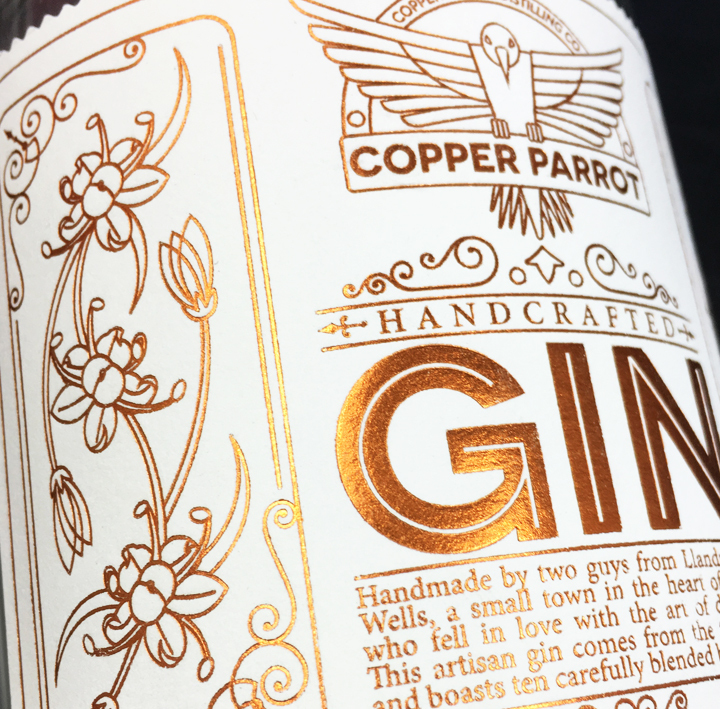 The Copper Parrot brand was developed for Martin Cox and Neil Sanders who spent time working with a master distiller on a gin recipe before deciding their interest could be more than a hobby. It was a decision that made business sense too with the UK seeing a growing demand for small batch gin. In the last couple of years artisan gin making has increased in popularity with entrepreneurs attracted by the relatively quick distilling process of gin. Unlike vodka, it’s also a product where you can create subtle or significant differences through the ingredients used. In the case of Copper Parrot, this artisan gin comes from the top perch and boasts 10 carefully blended botanicals. The brand name Copper Parrot is taken from the apparatus that allows the distiller to read the proof of the run in real time and is useful when making cuts during the distillation process. Pure specified a copper foil finish to fuse brand name with brand colour and give the label elegance. 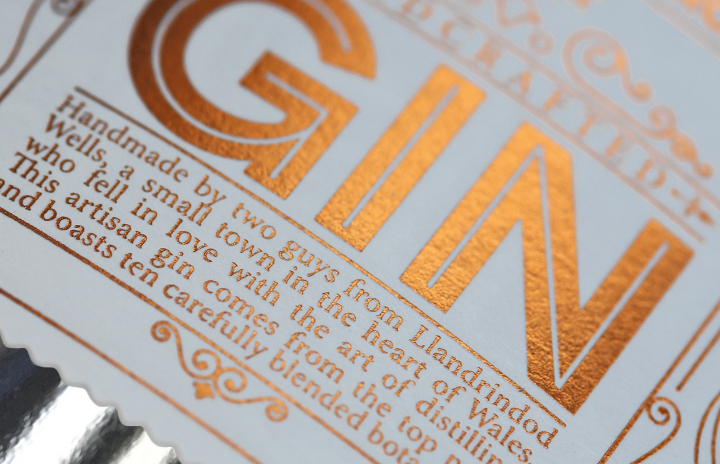 Purposefully, there is an incredible amount of detail and craft in the label design so the brand look matches the artisan nature of the product. The finalized label was developed in two parts for aesthetic and practical reasons, so if a mistake is made writing the label everything is not lost. 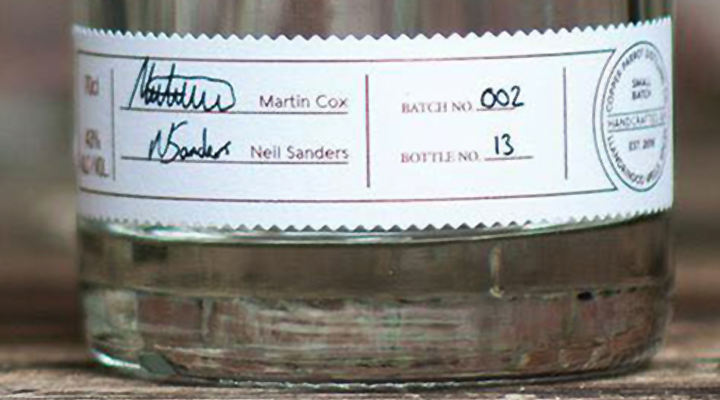 Having a space where the makers hand sign the product and record the batch number was deemed integral for communicating the brand’s small batch authenticity.